If you own a property in Thailand, or plan to buy one, Airbnb can be a great option to earn additional income. With more than 35 million arrivals in 2017, Thailand was among the top ten visited countries, which means that there’s a high demand for short term rentals. Airbnb provides a perfect solution to the high demand, something that Thai hotels have (negatively) experienced. In 2017, there were around 40,000 Thai properties listed on Airbnb. However, before you take the step and start renting out your property on Airbnb, you should know that there are some legal limitations to it as well. In this article, I explain everything you need to know when renting out property on Airbnb in Thailand. Is Airbnb illegal in Thailand? But it’s a gray area and it depends for how long you rent out the property. In May 2018, a Thai court ruled against short-term rentals of property through Airbnb. According to the new ruling, those who rent out properties for a few days, or a couple of weeks, are not allowed to do so anymore under the new law. However, if you rent out your property for 30 days or more, you should be safe according to the legislation in place. According to the Hotel Act B.E. 2547 (2004), a property can be rented out for 30 days or more. If not, it’s considered as a hotel business and a hotel license is required. So, you’re completely fine from a legal point of view, if you rent out property on a 30 to 30 day basis. That’s why you see considerably more options on Airbnb if you fill in a rental period of a month or more, in comparison with a week or two. Worth mentioning is that the condo building you live in might have, or be able to apply for, a hotel license (even if it’s not a hotel). In addition to the Hotel Act, there’s also a Condominium Act that prohibits condo owners to use their property for commercial activities, like short-term lettings. You need to read about the Foreign Business Act as well, that puts the same restrictions on foreign condo owners. In some recent cases, courts have fined condo owners thousands of baht for renting out their properties on Airbnb for less than 30 days at a time. After the court ruling, there were several raids for short term lettings, especially in Phuket. In many areas and cities, developers and condo management (boards) have also banned the owners from using Airbnb for short-term lettings. This means you also need to confirm with the developer, or the condo management whether they allow short-term Airbnb rentals. In the end, even when the law regarding short-term lettings through Airbnb is fairly clear, it’s not enforced strictly. It’s up to the condo management to decide whether they want to allow short-term rentals or not. Worth mentioning is that Airbnb has recently negotiated a partner program with the Thai government, where they will help the government in distributing tourism income to different communities. 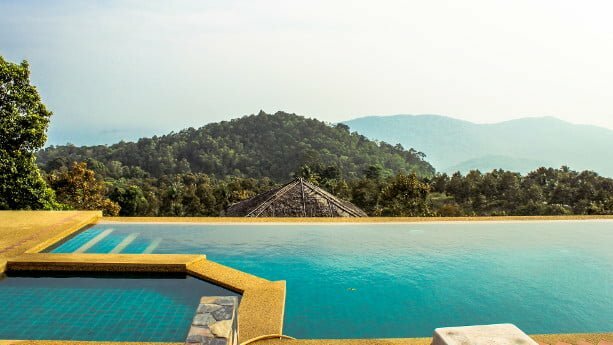 What happens if I get caught doing short-term rentals on Airbnb in Thailand? Punishments vary, but as mentioned, according to the Condominium Act, you can receive a fine of not more than THB 50,000, and be penalized with a daily fine of not more than THB 5,000 during the period of violation. According to the Hotel Act on the other hand, you can be fined a fee of up to THB 20,000, and/or face up to one year in jail. Personally, I believe that the government won’t issue such harsh punishments to foreigners, at least not at a start, as it could have a bad impact on both the tourism and the real estate market. 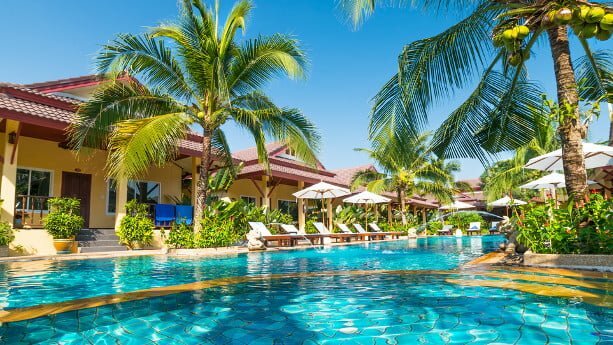 Looking at real examples, in one case, one owner in Hua Hin had to pay a fee of THB 5000, and THB 500 a day for twenty days (totalling THB 15,000). 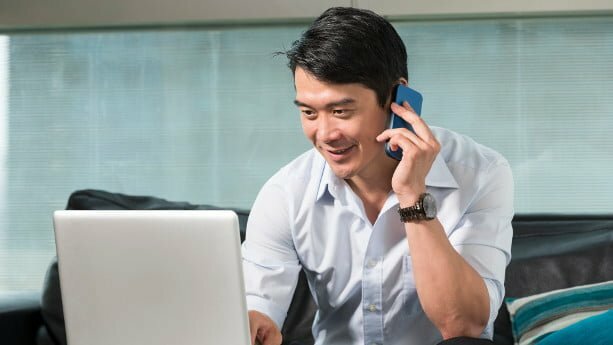 In a second case, an owner had to pay a fixed fine of THB 5,000 based on court ruling, and additionally THB 100 per day during 81 days (totalling THB 13,100). Even if these fees might seem small, it’s not clever to continuously breaking the Thai laws, with a risk of putting yourself in a troublesome situation. How’s the process when registering a property on Airbnb? Registering a Thai property on Airbnb is simple, you can do it online within a few minutes. d. List your property by visiting “list your space” option at the top right corner. e. Provide availability information by going to the calendar. You can make your property available as “Always” for keeping it listed for an indefinite time or choose “Sometimes” for specific days. You can also choose “One Time” if you want to list it once or for a limited period of time. f. Next is to set a price for your property. Airbnb provides you with their own estimates based on the provided information, and average rates in the area. However, you can always come up with your own rate. i. Add your location by providing the address, and this is it. You’re now done with the listing process! Airbnb doesn’t charge any fee for listing properties on their website, but they charge 3% of your income as their service fee. On top of that, Airbnb also charges a VAT (Value Added Tax) which is 12.5% of the assessed rental rate per year. Your success to earn high rental incomes will highly depend on where you buy-to-let. If you are looking to buy Airbnb property in Thailand, you should have a look at the following cities. Bangkok makes an excellent option to buy Airbnb properties due to a high number of expats, tourists, and high occupancy rates. Out of the three million foreigners that live in Thailand, a majority lives in Bangkok. Airbnb rentals provide a growing number of foreigners with quick accommodation solutions, before they settle for a permanent one. In addition to a high number of foreigners living in the city full time, Bangkok was the most visited city by tourists in the world, both in 2016 and 2017. In the last few years, the city has welcomed more than 20 million visitors yearly. Being a capital city, a business, tourist, and commercial hub, there’s a lot of inward movement from other parts of the country. You can easily find guests who are looking to stay in your property for a month or more. Based on a market analysis made by Airdna, the average daily rate for Airbnb is THB 1,600 (USD 50), but varies based on areas. The average occupancy rate is 72%, that sometimes reach as high as 80% during busy periods. There’s been a rapid growth of Airbnb rental properties in Bangkok in past years. In 2014, there were only 2,500 properties listed on Airbnb, a number that has now reached over 32,000. Expats and tourists tend to live in Sathorn, Sukhumvit (Asok), Thong Lo, Aree, and Udom Suk. 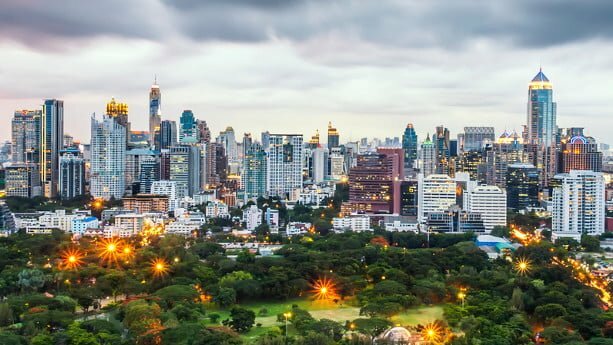 Sathorn is known for its green areas, pretty lakes, peaceful environment, top restaurants, bars, clubs, and thriving nightlife. The area is also densely populated with expats. Situated near the river makes it a desirable place for many visitors. The average daily rate here is USD 46, while the occupancy rate is above 70%, which is considered good. Compared to Sathorn, Sukhumvit is entirely different. While Sathorn has a mixture of countryside and city life, Sukhumvit is located the heart of Bangkok. It’s a densely populated area with easy access to transportation. You can find many spas, restaurants, cafes, and bars, which are sought after among expats and tourists alike. The property prices are high compared to other areas, but the rental yields and occupancy rates are also high. Most of the Airbnb units are listed in upper and lower Sukhumvit, as the occupancy rate here is around 80%, and with a daily rate around USD 60. The daily price and occupancy rate is slightly better in lower Sukhumvit than upper Sukhumvit. Thong Lo has high occupancy rates and a big number of expats. Due to the high number of Japanese expats living in the area, Thong Lo is well-known for having many Japanese restaurants. You can also find a variety of shopping malls, parks, and spas. The Thong Lo BTS is just nearby, which makes it a prime location. However, prices here are also high. According to market data from Airdna, the occupancy rate is around 65%, but the average daily price is comparatively high and USD 65. Below I’ve listed daily prices and occupancy rates for different areas in Bangkok. 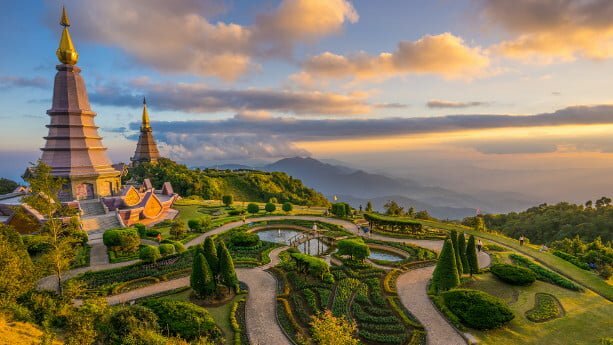 Known as the cultural center of Thailand, Chiang Mai is the second biggest city that attracts many digital nomads and expats. With thousands of Buddhist temples, beautiful nature, and a more relaxed atmosphere, the city attracts millions of visitors every year, making it one of the prime relations to buy Airbnb properties. According to the recent estimates, more than 15 million tourists visit the city every year. This is why the occupancy rate is averaging at around 64%, and reaching 82% during the peak seasons. The average daily price is USD 47 which is almost the same as Bangkok on average. Still, property prices are almost half of that of in Bangkok, providing you with more affordable options. Popular areas in Chiang Mai include the Riverside and areas around the Nimmanhaemin road. 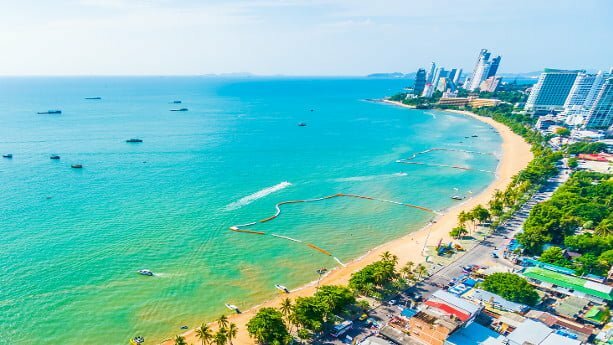 Pattaya is known as Asia’s largest beach resort and attracts the second most tourists after Bangkok. It’s one of the most affordable areas in Thailand to buy property, due to the recent slump in prices. Still, the average rental rate is just slightly lower than in Bangkok. Rates average at USD 45 per day. The issue here is the lower occupancy rate, which is only 40%. This is mostly because there is not much demand during the off-season. Even if the occupancy rate reaches 70% during the peak season. Another reason for lower occupancy rates is the high number of listings in this smaller city, which are more than 12,000. The city is known for its beaches, hence, the closer you get to the beach, the higher the rental prices you get. Most of the AirBnB properties here are villas and luxury beach resorts. The Phuket island is one the most visited places in Thailand, mostly because of its beaches and natural beauty. 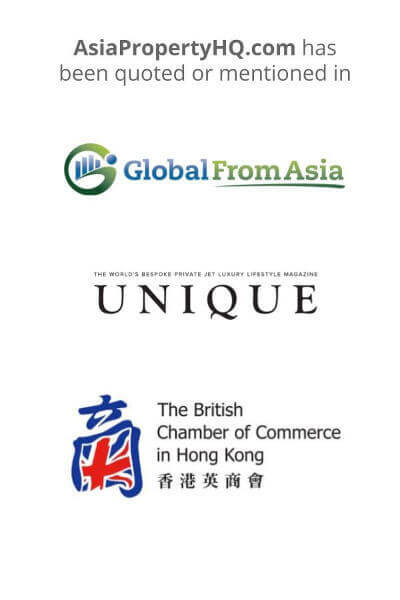 The city has also experienced a growing number of foreigners working or living long term here. Most Airbnb properties in Phuket are luxury villas and beach resorts, located right at the beach. This is why the average daily price is almost USD 100. However, the occupancy rates vary based on the seasons, sometimes climbing to 75%+ in February, while dropping to only 25% in May. On average, the occupancy rate is 40%. For better rates, you should target properties near the popular and frequently visited beaches. Some good places to invest in Airbnb properties include Patong, which is also known as the party capital city of Asia, near Kata and Karon beaches. Mueang is also interesting, and the capital city of the province. If you want to buy property near the airport, Thalang is a great place where you can find newly built and affordable condos. If you look for luxury villas close to popular beaches, Surin and Bang Tao are good options. Koh Samui is one of the most visited places in Thailand, mainly due to its beaches. Most of the Airbnb properties here are villas, located right in front of the beaches. The closer you are to a popular beach, the higher the daily price. The average daily price is higher in Koh Samui than in other cities, mostly because the tiny island accommodates more than 2.5 million tourists. In addition, the Airbnb properties here are mostly luxury villas, so the prices per day are higher. On average, the daily price for a luxury villa is USD 186. However, the occupancy rate is around 54%, as there’s not as high demand during the winter season. Below I’ve made a market summary showing the daily average rental rates and occupancy rates for the above mentioned cities.